Auctions are generally very noisy affairs. The seller can often get very confused by the opinions offered by the plethora of buyers. Once again the process involves a lot of noise and is not very organized in nature. In the recent times a more orgamized style has been developed for auctioning. 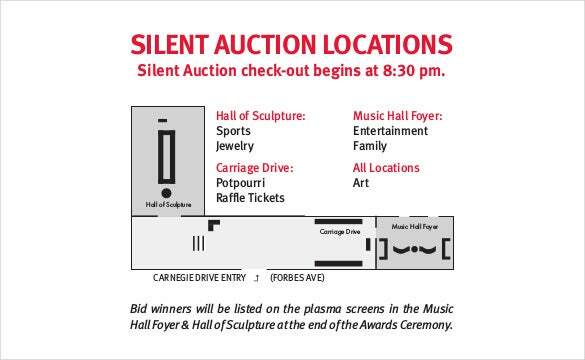 This is the style of silent auction. 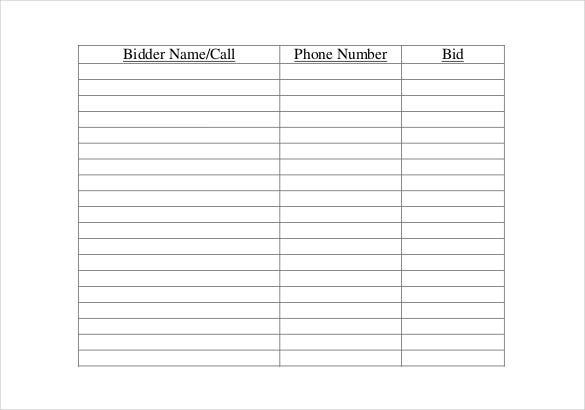 This is much more systematized sort of a process where the seller makes a documents where the item is mentioned for sale and it can record the name and the price of each of the bidder. 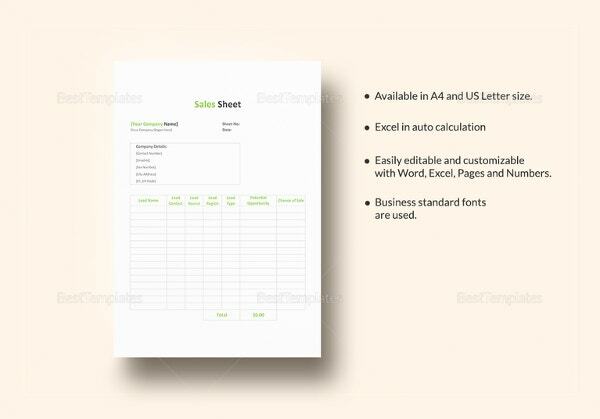 You can also see Sales Sheet Template. 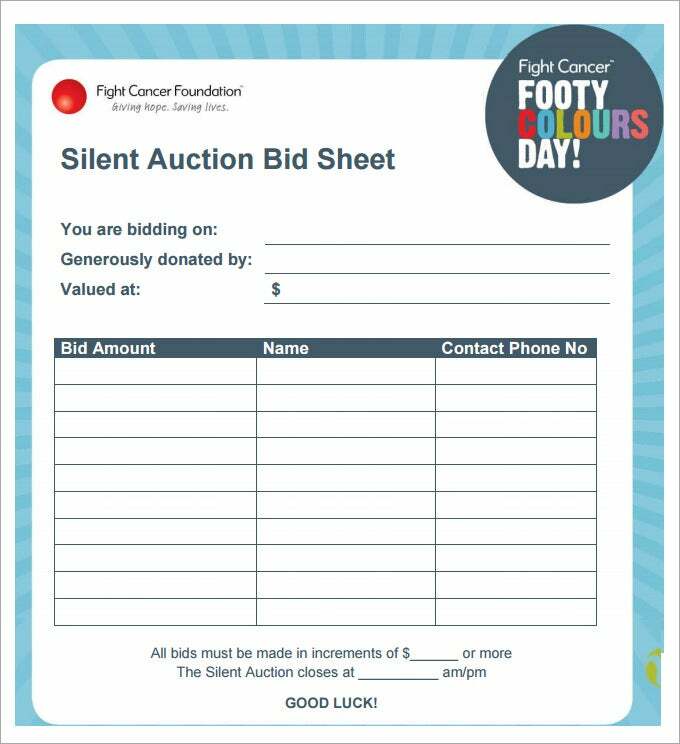 f-a-a.com | The formats of these templates are very useful to create a sheet of bid for silent auction. 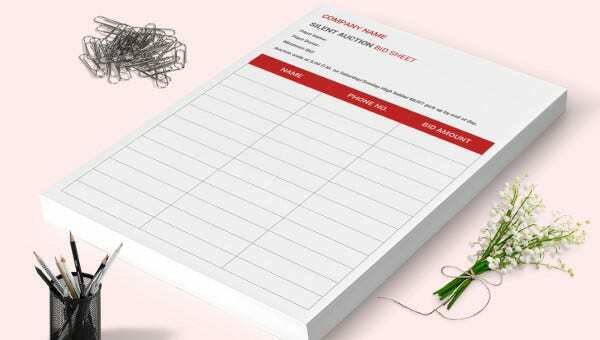 The templates have a design that is highly simple and minimalistic. Such templates have been provided with a table format that gives the entire format a highly formal and neat look. 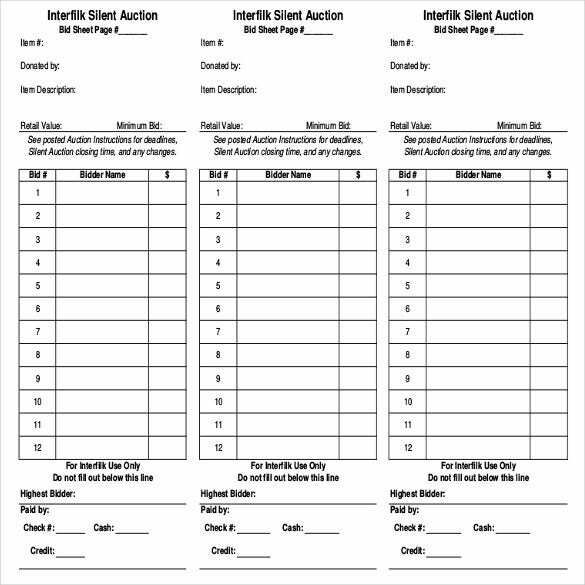 The silent auction sheet can be used for any type of sales. 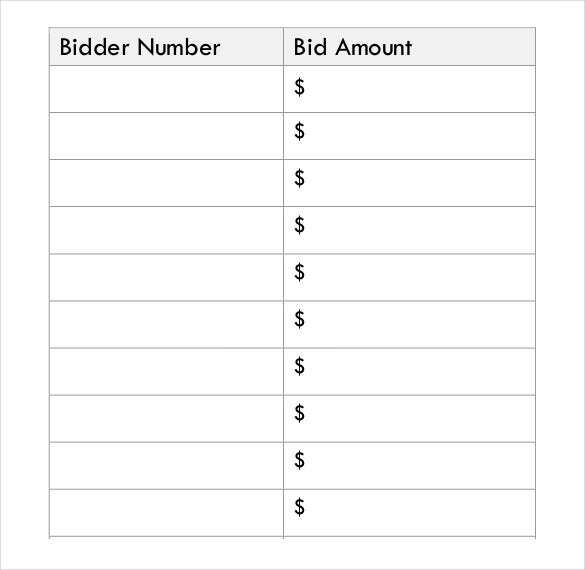 They contain the information of the name of the bidder, his or her bidder number and the bid amount. 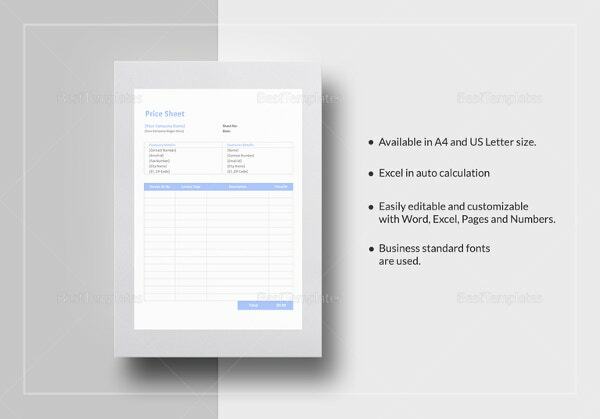 The templates have been provided with great features and also have a great printout quality. hcra.org | The user can easily download these templates for free. They come in the format of word documents. The look of the documents is highly systematized and also very simple. The person who will use these templates can make changes at any point. The design is fully editable. The row of the table can be increased or decreased as per the requirement of the user. 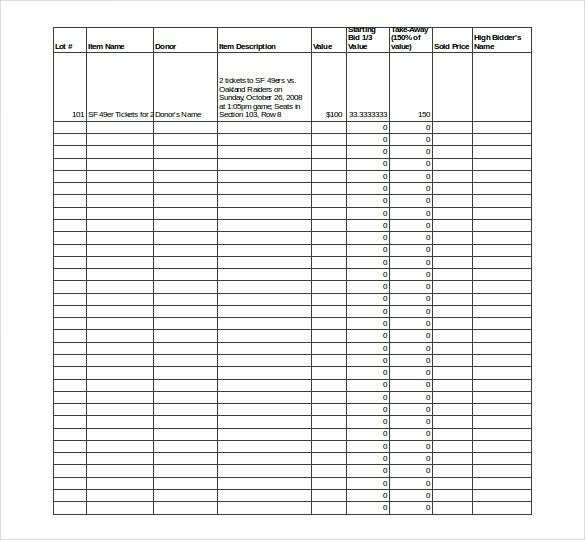 The template layout supports information of the address of the bidder, cell phone and also the amount. The whole information is numbered. 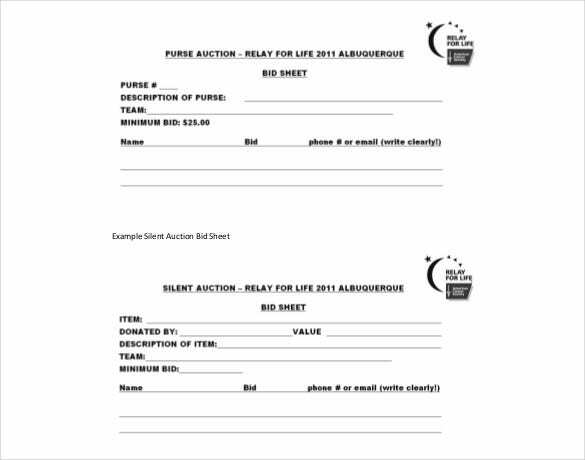 relay.acsevents.org | These are again sheets that have a great format for the use of bid sheet for silent auction. The formats of the sheets are very neat and organized. 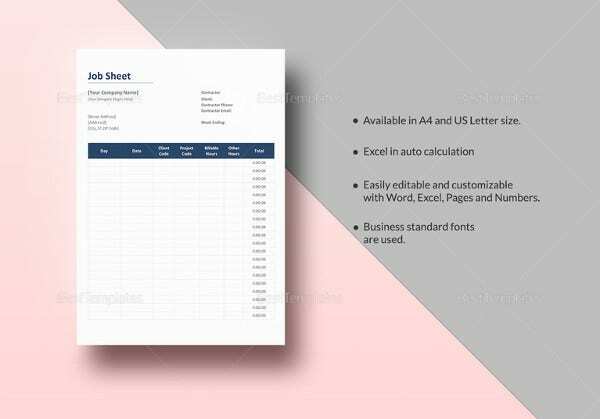 The table or the grid format that has been provided helps the user to clearly tabulate all the details. Finding and tabulating information is also very easy in this format. shrm.org | The user can easily download these formats that can come in the form of word document or in the form of PDF. The great resolution range of the templates will allow great quality of printouts. In addition the templates are highly navigable and have very responsive futures. The user can change and feed in new information as requires. Then it is up to the seller to make the decision. 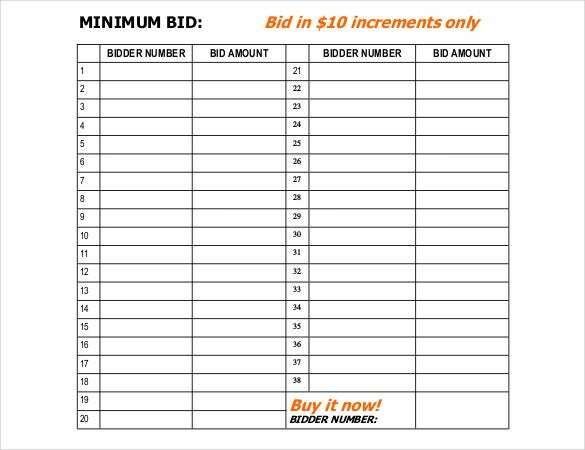 The highest bidder gets the item without any hassle. 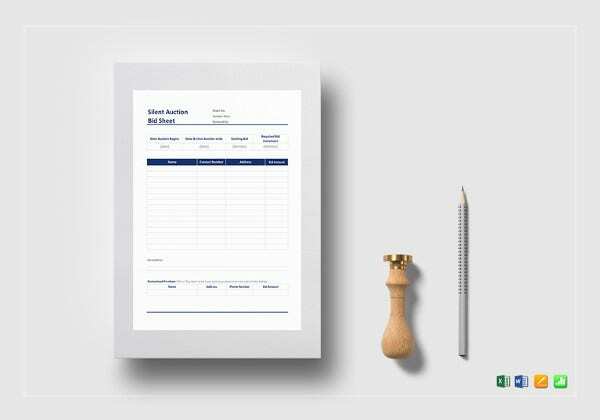 However to create such documents a form is required. 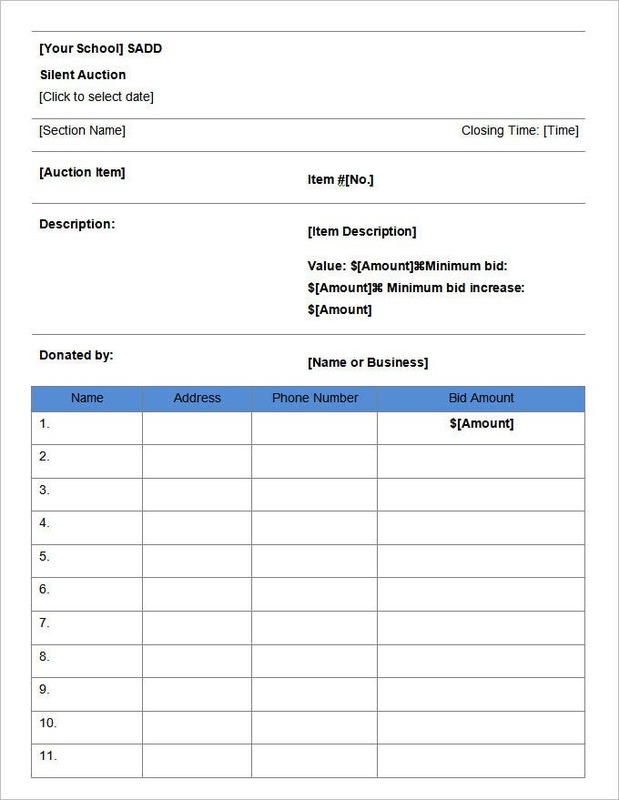 The silent auction bid sheet templates can be used for this purpose. 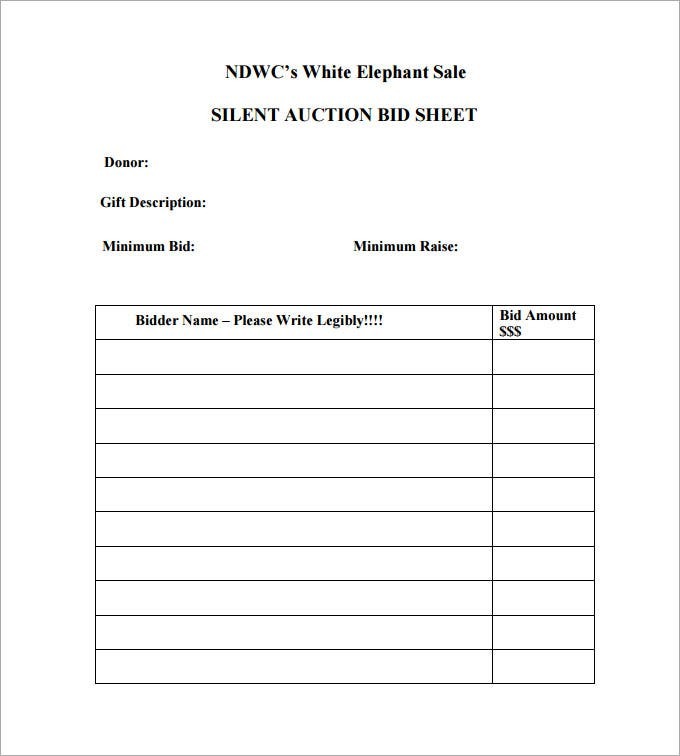 The seller can get readymade formats to create the relevant documents for silent auction. 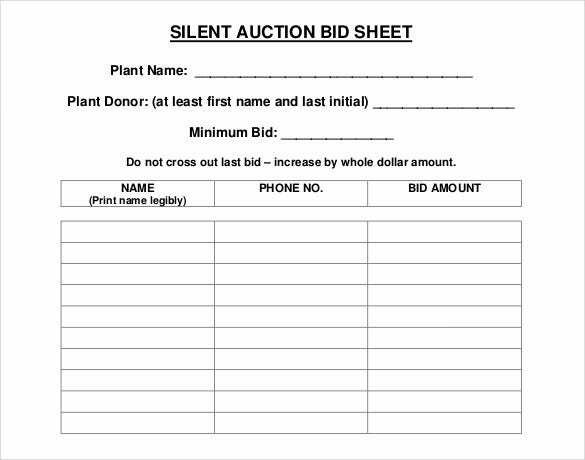 Creating a silent auction is quite a convenient thing to do. 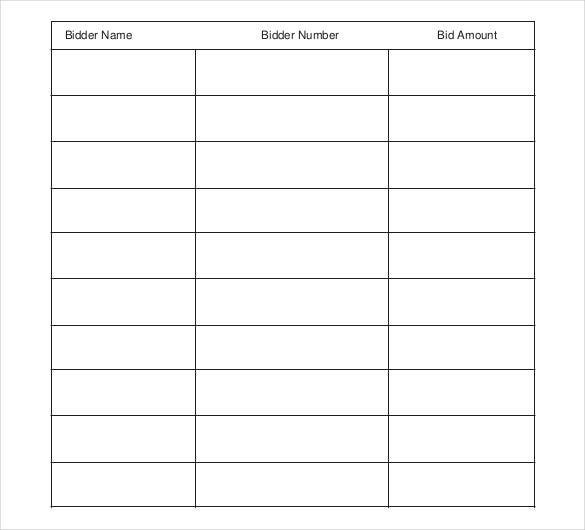 Here, you can have Silent Auction Bid Sheets templates (silent auction bidding sheet) to help you do the auctioning.Essentially, you simply use the Sheet Template ask them to quite their price for the item and then use the results to make a sales decision. 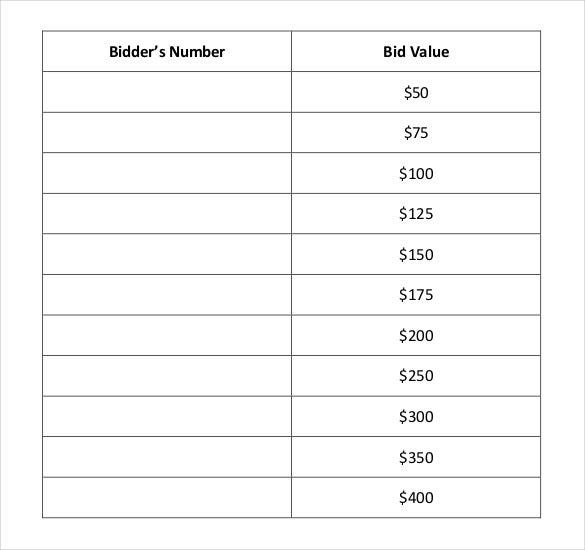 Usually, the highest bidder takes home the product, which is exactly the main objective of carrying out an auction.The template helps you stay a bit more organized, and no one has to know what your item is worth expect you and the highest bidders. 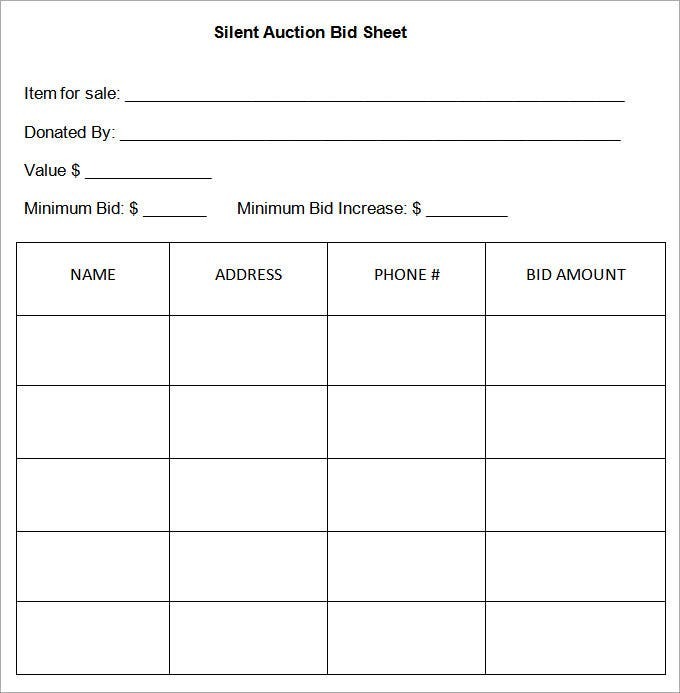 What is Silent Auction Bid Sheet Template? 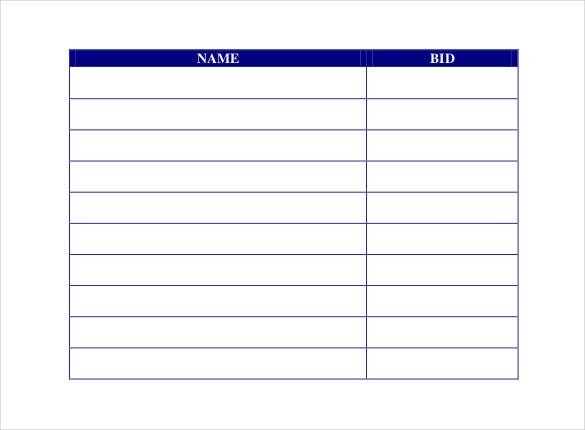 This is a template that will allow the user to make a format that will help them to make documents required for silent auctioning. This saves a lot of work for the user or the seller. 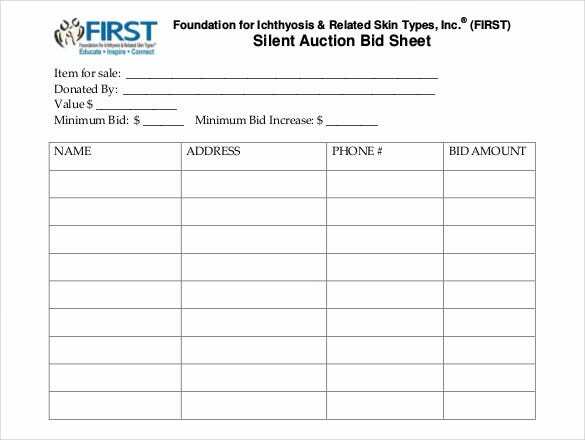 How to Create a Silent Auction Bid Sheet Template? 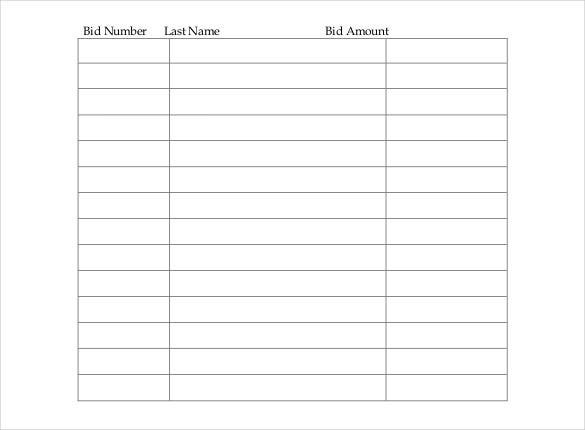 The best way to create a silent auction bid sheet template is to make a table. One should include only that information that is important for the seller. The seller has to do away with extra information as then the documents can get very confusing for the seller itself. The table has to be properly spaced out so that the information should not look too cluttered. The biggest benefit is that it gives the whole work a systematic approach and it reduces the work of the seller. These templates will allow the seller to continue with his job in a peaceful manner. This will save him the extra pressure of handling noise and din. The work is done in a sophisticated manner. If you have any DMCA issues on this post, please contact us!